Totally off topic, but I had to share this amazing artist’s work. 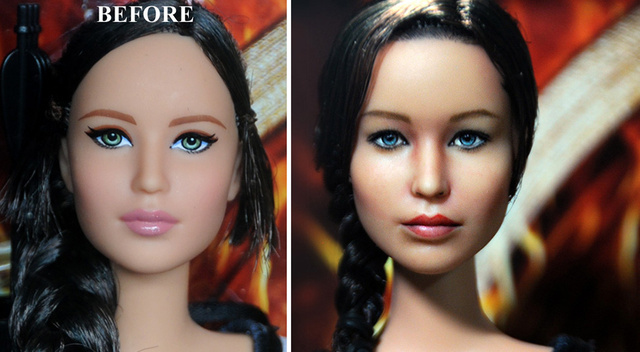 Noel Cruz repainted a standard Barbie doll to look like Jennifer Lawrence as Katniss (“Hunger Games”). All his custom repainted dolls are gorgeous.